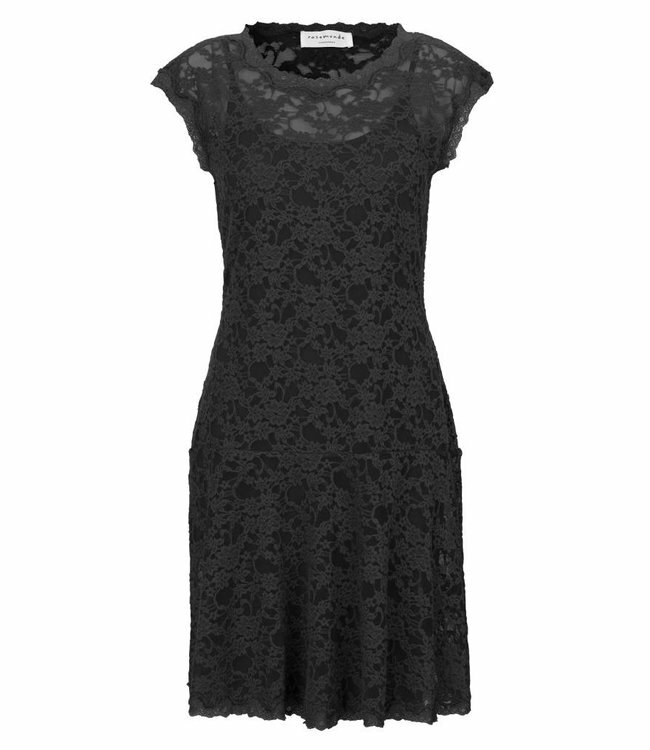 Exquisite, feminine, waisted lace dress in black. The dress is fitted at the top with a slightly flared skirt. It comes with a soft viscose slip with adjustable spaghetti strap. Wear with high heels for an elegant look.